Investec Australia Property Fund has announced the acquisition of a three level, A-grade property in Macquarie Park, Sydney for $23.2 million. The property provides 3,114m² of office accommodation, 3,164m² of warehouse space and 148 parking bays on a site of 6,812m². The property is situated at 113 Wicks Road, Macquarie Park, 12 kilometres north west of the Sydney CBD in one of Sydney’s key metropolitan office markets. The property is well located in close proximity to the M2 motorway and other key infrastructure such as Macquarie Central, one of Sydney’s largest regional shopping centres, and the Macquarie University main campus. It is approximately 600 metres from both North Ryde and Macquarie Park train stations, which are currently undergoing major upgrades as part of the Sydney Metro Rail Link works (Australia’s largest public infrastructure project). Due to progressive rezonings to residential and pure office redevelopments, most of Macquarie Park’s warehouse stock has been permanently withdrawn resulting in good quality warehouse space becoming increasingly scarce. This makes the property particularly desirable for tenants who require a mix of good quality office accommodation and functional warehouse space and who wish to remain within a 15 km radius of the Sydney CBD. The property is 100% occupied and leased to good quality tenants including Telstra Corporation (Australia’s largest telecommunications provider with a market capitalisation of c. AUD 68 billion), the New South Wales Government (one of the strongest covenants in the Australian market) and Mine Site Technologies (an engineering technology provider with global operations on four continents and annual revenues of c. AUD 70 million). The weighted average lease expiry is 4.2 years and contracted annual rental growth is approximately 3.5%. IAPF CEO Graeme Katz is pleased to acquire another property in New South Wales, taking the value of the Fund’s total portfolio to over $517 million. “The acquisition aligns well to the Fund’s strategy of investing in well-located, high quality assets,” Mr Katz said. 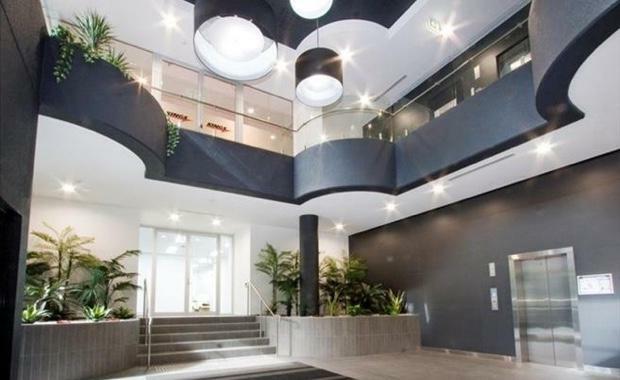 “The property is located in a prime position in one of Sydney’s most established office precincts and its unique mix of office and warehouse accommodation has attracted quality tenants. The average office rents at the property are AUD 275/m², which compares favorably to rents in other Sydney metropolitan markets including North Sydney (AUD 600/m²), Parramatta (AUD 445/m²), Chatswood (AUD 480/m²) and Rhodes (AUD 380/m²). IAPF, listed on the Johannesburg Stock Exchange, provides South African investors with direct access to the Australian commercial property market.